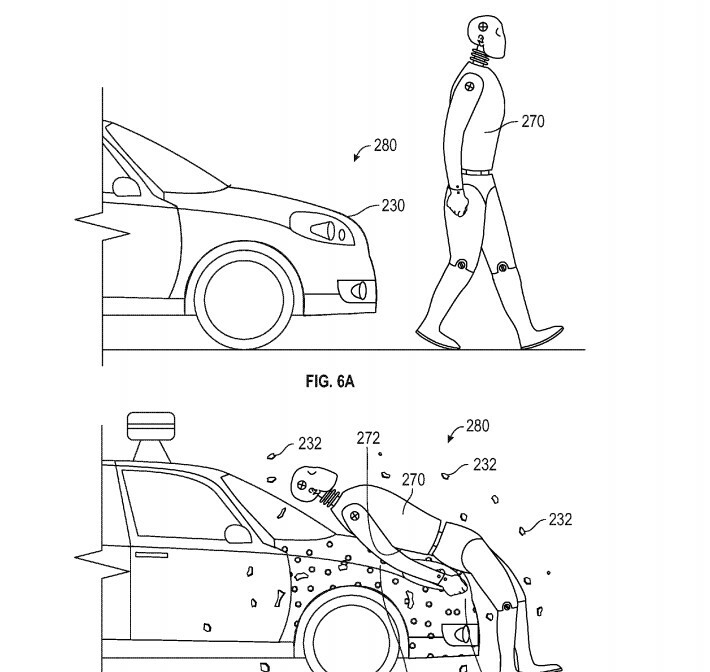 New Google Patent now allows a special kind of coating on self-driving cars to prevent pedestrian injuries during coalitions. 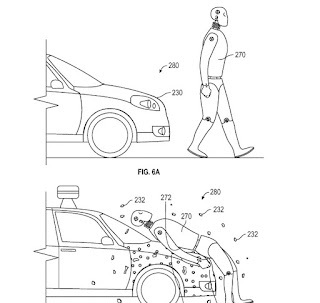 The company (Google, Tech 30) will now coat their self-driving vehicles with a sticky substance that will glue pedestrians to the front instead of throwing them off during coalitions and thereby causing injuries. 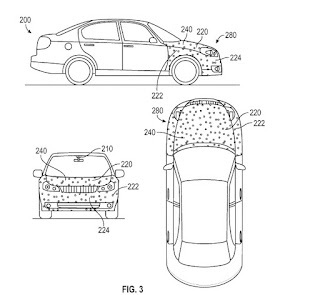 According to a statement on the patent granted this week, "the (pedestrian is not thrown from the vehicle, thereby preventing a secondary impact between the pedestrian and the road surface or other object"
As seen in the image below, the hood, front bumper and front side panels of the self-driving cars will be coated with an adhesive layer that will be enclosed under a thin layer till an impact occurred. 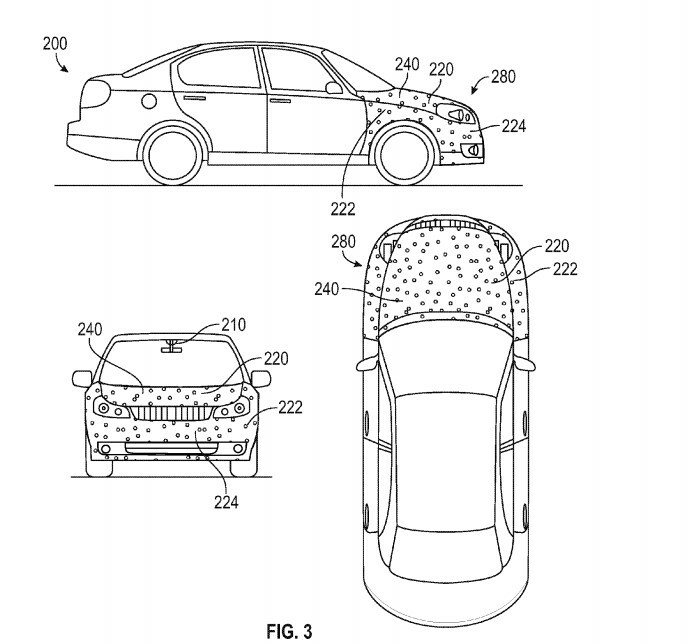 Google believes that self-driving cars can help transport people safely and easily despite not being perfect yet and this accounts for the reasons why the company has been testing its vehicles on the roads of ARIZONA and California even to the extent of hiring people to test the cars for $20 an hour.